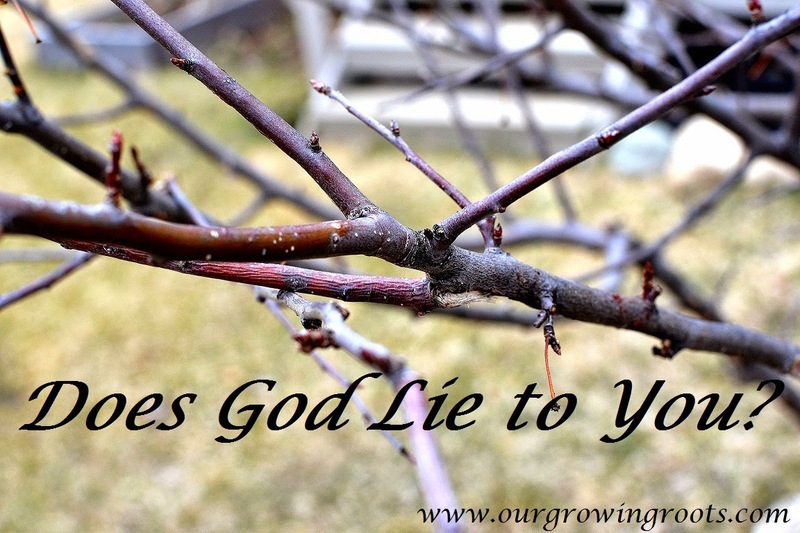 Our Growing Roots: Does God Lie to You? Does God Lie to You? "God can transform what the devil says will never change" was my status update the other day. It hit home on Monday night. Driving home to my wonderful, beautiful little family and realizing that this lie I have believed about myself for years doesn't have a hold anymore. There is no power in it. None. I have spent countless hours, perhaps even days in totality giving validity to this falsehood. I've seen it as an unconquerable obstacle in my life that would always block my path and cause pain and suffering. The sense of relief I have had these past few days has been heart-rendering. It is as if a breath of fresh air has been blown over me and given me the second chance that I've always had access to. In the back of my head I have had this looming, terrifying lie for years now. It used to be just one lie, and then it multiplied, as lies most always do. "You will be seen as..."
The devil is the master of lies. He deceives and destroys. He plants little seeds of doubt in our minds about anything and everything that we are struggling with. He attempts to sabotage our best efforts and cause us misery. He wants us to fail, to crumble, to lay face down on the ground and give up. There are people from every corner of this world who struggle with their inner demons. From the small child who hits their sibling to the murderer on death row - God forgives. There is no filter with regards to his forgiveness. He tells us that our failures are not final. He encourages, strengthens, loves, and protects. He accepts us and knows that we can be much more than any person believes we can. He knows our full potential and wants us to reach it. There is no lie that the devil whispers into our ear that God believes is true. There is no finality in our shortcomings (perceived or real). God's grace and mercy is so completely overwhelming. To think that we distrust Him time and again - to think that we fail continually, and constantly take matters into our hands thinking that we can in fact do it better than God himself. Yet, He still forgives again and again. If someone did the same things to us that we constantly do to God we wouldn't be so gracious. Still, though the Lord loves and cherishes us. I am so humbled and so grateful to be a daughter of God. I am so thankful that He shows me the truth over and again. The sense of security I have in the Lord's amazing truths is abundant and I am thankful for second chances and unconditional love. Oh how I love this!!! I have always struggled with this and need this reminder on a daily basis. Absolutely beautiful and such a necessary reminder for all of us!